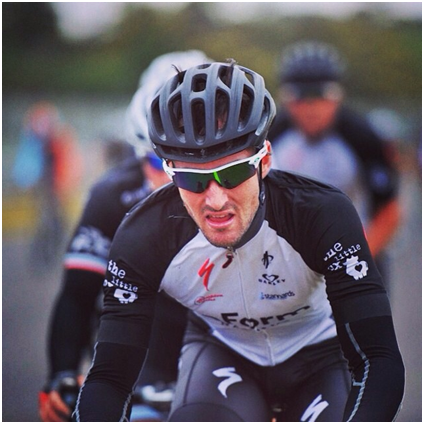 If you have been reading this blog series you’d be aware that I recently joined a Melbourne based amateur cycling team called InForm Racing. Prior to joining the team, I’d always wondered how local cycling teams come about and what their structure is in terms of sponsorship, team commitments and organisation. To give you some insight into InForm Racing and how it came about, I recently sat down with Cam McKimm (Managing Director at InForm Design & Construction) to discuss what key elements were involved in structuring the team. 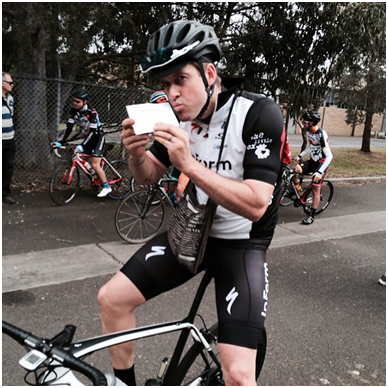 If you’re going to start a team where you intend to entice good riders, you will need funding. In this case, team creator and manager Cam McKimm works as an executive for an organisation where brand exposure will pay dividends. InForm Design & Construction build high quality homes in the Melbourne area, with a strong presence in Bayside and along the Mornington Peninsula. Given that Bayside and the Mornington Peninsula are cycling hotspots it makes good sense for the company to put some of their marketing budget towards a cycling team that mainly operates out of these areas. It also doesn’t hurt when another owner and founding member of InForm Design & Construction (Chris McKimm) is a super keen cyclist who understands how the cycling community collaborates and takes notice of a good looking kit! The team budget allowed InForm Racing to provide team riders with top-of-the-range equipment, training and clothing, including two Hincapie kits, warmers, spray jackets, socks, long sleeve jerseys, Specialized S-Works shoes, Oakley glasses, an S-Works Prevail helmet, professional training from The Hurt Box and an Ambassador Agreement with Hampton Cycles and Specialized AU. Once the budget was approved, Cam was keen to use some of it towards structured training. This would help optimise the training and subsequent results of the team, and also entice some good cyclists to join the ranks. Through his own network, particularly the guys down at Hampton Cycles (where Cam has been a customer for many years), Cam identified training company The Hurt Box. 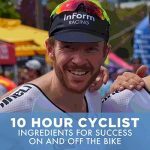 Cam had seen first hand the solid results the Hampton Cycles team was getting through their training methodology, and he’d also heard great things about The Hurt Box personal approach. After Cam connected with Harry and David (‘Steggles’) from The Hurt Box (over a few strong lattes), presenting the team’s plans and objectives, the guys agreed to take on the InForm Racing team. Not only would they provide their personal approach to each and every team member, but they were also able to facilitate additional services to meet the needs of the team, such as adding training rides in the afternoon for those unable to train in the mornings and committing to join the team on the inaugural Blairgowrie camp. The team rolling up Arthurs Seat on the Blairgowrie Camp. Through his own network, Cam had already earmarked five spots out of the ten needed. Two of his close school mates who he’s ridden with from day dot (myself and Bryan Scott), his younger brother Matt Mckimm and his pseudo brother-in-law Hayden Green, aka “The Nut”. Cam found the remaining five riders through the initial members of the team and also his relationship with Hampton Cycles. In comes Cam “The Badger” Letty, Dale “The Crit Monster” Woonton, David “I Love Chicken” Barrett, and Sam Brown who traveled to Europe with a cycling team as a 19-year-old. Sean Carruthers from Hampton Cycles had also been earmarked as our young gun general classification rider, but unfortunately injury prevented him from joining in 2014. Luckily, for the team, an Englishman by the name of Benny Warner was able to fill the last spot. The key element to the team is that we are all likeminded. We’re keen to work hard together to get results and have some fun whilst doing it – the work hard, play hard mentality. I’m not sure if anyone is quite like Wooza, but he epitomizes what team InForm Racing is all about. Cam had already planted the seed with Hampton Cycles, whom he had an existing relationship with. Once all the ducks were in line, i.e. funding, structured training partners and commitment from a group of solid cyclists, Cam put together a formal presentation and booked in some time with Hampton Cycles store manager and owner – Leigh Schilling and Damien Jones. The presentation outlined the cyclists, the race plan over a twelve-month period and the major sponsor, being InForm Building & Construction. Hampton Cycles were not only impressed by the professional approach, but also by the group of cyclists and their potential. They embraced the idea, subsequently bringing Specialized AU into the picture too. This ultimately resulted in the team being provided with the opportunity to become Specialized Ambassadors with all riders ending up on the same new S-Works Tarmac. 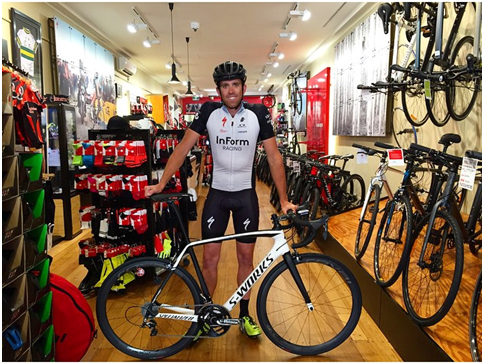 Sammy Brown looking the goods at Hampton Cycles. Once everything was confirmed and locked in, Cam approached some local businesses he knew through his own network. Previously, some of the InForm team members had been part of the Hawk & Hunter cycling group. The guys who owned the Hawk & Hunter Café (which was recently sold) also own Tommy Collins Events and The Little Ox. They decided to chip in, along with a fellow Hawk & Hunter team member, Peter Angelini, Partner at Stannards Accountants & Advisors. These organisations were able to provide additional funding to help support the costs of the team, and they are now represented out on the road as part of the kit. “The Nut” doing it hard for the sponsors! One of the final steps was to bring the parties together: the InForm team members, Hampton Cycles, The Hurt Box and Specialized AU. Cam put together a presentation, clearly articulating how team InForm Racing would be aligned to the Inform brand, how the team would operate in terms of training, racing and general accountability and a little bit of background on each cyclist. The Hurt Box then presented their training methodology and the software application Rider Metrics, used to measure everyone’s training load and performance. 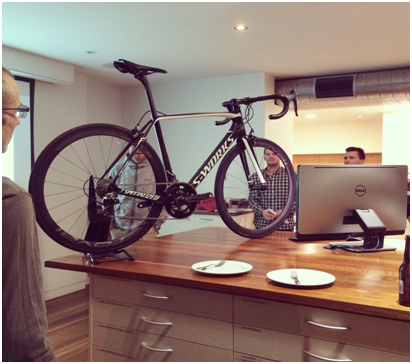 Last, but certainly not least, Hampton Cycles had brought in a New S-Works Tarmac for everyone to take a look at. Along with the representatives from Specialized AU, Leigh Schilling from Hampton Cycles gave everyone a thorough technical overview of the bike’s capabilities. The presentation night was a great way to get all parties together to align on goals and expectations. It also allowed the team members to be fully exposed to the opportunity before making a final commitment. The presentation night was a chance to get acquainted with the new Tarmac. This is not the exact colour scheme we ended up with. When you’re commercially engaging organisations to sponsor a sports team, it should be taken seriously. Ultimately, each member of InForm Racing is representing businesses and brands that have their own reputations to adhere to. Therefore, putting a contract together that sets expectations in writing and clearly articulates the team members obligations, is paramount. The final piece of the pie was to draw up contracts for each rider, and get them signed, which is obviously what happened! As stated above, the ultimate goal of putting the Inform Racing team together was to work hard for results and have some fun in the process. Two months in we’ve already had four team members promoted to A grade, wins in A and B grade and a number of places. We’ve also had two training camps in Bright & Blairgowrie, plenty of morning lattes and afternoon beers and a whole lot of laughter. Time and effort – I’ve seen first hand the amount of dedication Cam McKimm has put in to get InForm Racing happening. Meetings, presentations, expectation setting, contracts etc. All of this takes considerable time and effort. Find a likeminded group of cyclists – Having similar abilities and similar personalities will ensure the group connects, which in turn drives team collaboration and longevity. Realistic training programs – We all have external commitments like jobs and families, so you need to ensure you’re setting up training programs that can cater to different needs. The need for money behind you – Look for a major sponsor locally that would gain advantage from having their brand on your kit. 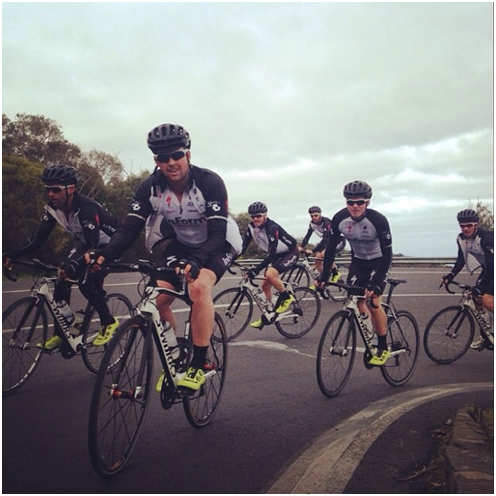 Funding will allow you to entice some strong riders and create the right attitude in the team. Support from a bike shop and bike brand – Aligning to a specific shop and brand ultimately helps support the team’s serving and equipment needs. It also looks a lot more professional if you’re all riding the same bike. 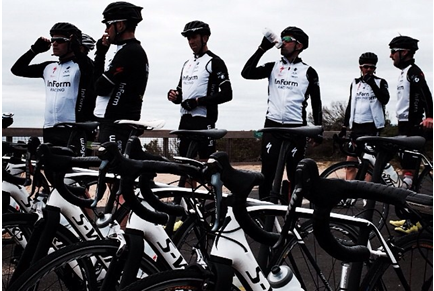 Starting your own cycling team is a lot of work but also a truly rewarding experience. If you’re wanting to establish your own team I really encourage you to go for it, remembering all the steps along the way. If you have questions or comments then make sure to leave them in the comment section below. Good read Auction My Ride. I’ve see some of those kits out on beach road. Good looking kit design. A Great Read! I’ve been fortunate enough to meet most of the InForm Racing Team and they seem to be a great bunch of guys. Putting this all together is a fantastic achievement as it will unify a special bonding and trust amongst people for years to come in this great sport of cycling. Good luck, ride smart, ride safely and enjoy yourselves.